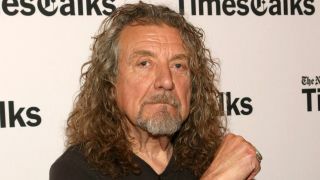 Led Zeppelin frontman Robert Plant caused an outburst of laughter when he took the witness stand in the court case over classic track Stairway To Heaven. He gave evidence during the fifth day of proceedings in Los Angeles, after Judge Gary Klausner rejected a motion from the band to end the trial without consulting the jury. Led Zeppelin are accused of lifting the opening phrase of their 1971 track from Spirit instrumental Taurus, which was released three years earlier. The case was brought by the estate of late Spirit guitarist Randy California. He added that a serious car crash, which took place later that same night, might have affected his memory. The case for the defence rested following Plant’s testimony. Musical experts brought by plaintiff lawyer Francis Malofiy have said that there are notable similarities between Stairway and Taurus, but a defence witness has countered that the musical structure in question is “commonplace” and can be heard in compositions from the 17th century. Both parties will present closing arguments today (June 22).